This week looks to be one for playing catch up and that’s an okay thing to do sometimes, I guess. We’re surrounded by so much of everything all the time that we’d need to enlist the large hardon collider and some kind of wormhole should we wish to consume everything with immediate effect. Somehow, “coming of age” seems to be a theme today and that’s okay too, particularly when it’s laugh-out-loud material, rockin’ for a sockin’, hella nostalgic or even a combination of all three. Get ready to unleash your inner monster. Season 2 of Big Mouth drops October 5. Watch Big Mouth on Netflix: https://www.netflix.com/title/80117038 #Netflix #BigMouth #NickKroll SUBSCRIBE: http://bit.ly/29qBUt7 About Netflix: Netflix is the world's leading internet entertainment service with 130 million memberships in over 190 countries enjoying TV series, documentaries and feature films across a wide variety of genres and languages. Season 2 of Nick Kroll and Andrew Goldberg’s Big Mouth on Nythflex hits that button with lust and is every bit as funny, true and bizzarre as the first. It also goes way out into the field across every line you could draw for it and just keeps running, special parts flapping in the wind. The established wisdom is that it’s funny because it’s about puberty and puberty is funny. At least, I think that’s the case and lord knows, if you didn’t laugh, you’d fall down weeping. She Who Inspires Horror In Our Hearts claims that it isn’t funny at all and that’s a valid opinion too. Regardless, the show continues to be striking eye candy in the same way that Matt Groening’s work is striking. People used to say that The Simpson’s was so instantly recognisable because yellow skin. I think it’s more than that and ‘Disenchantment’ is my irrefutable proof; it’s an individual style and a big part of it has to do with those mouths, man. The second I saw that footage of Caleb in a studio booth, scrapping out the vocal for ‘Trani’ on the 2011 rockumentary, ‘Talihina Sky: The Story of Kings of Leon’, I knew I was going to forever love that first album. 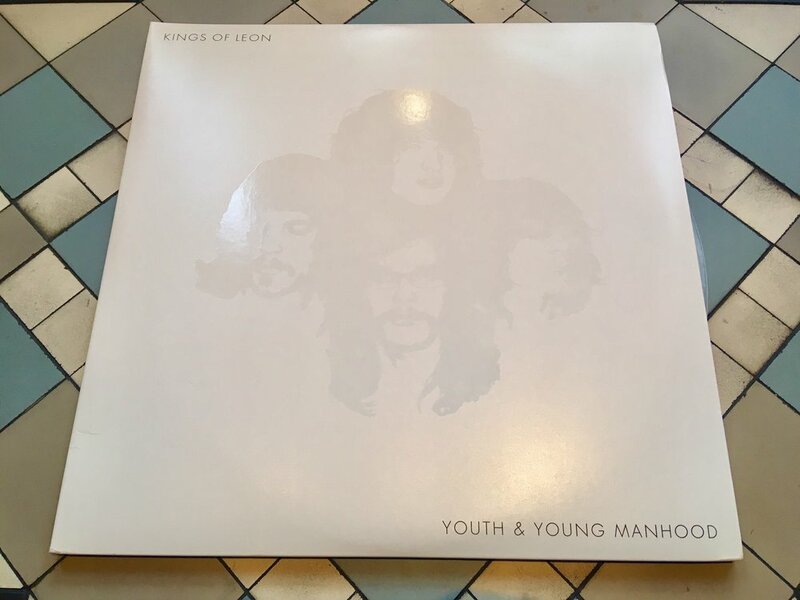 ‘Youth and Young Manhood’ (RCA Records, 2003) is a great piece of vinyl, in the tradition of all those bands that come to mind, up to and including The Rolling Stones. It has a pace, temper and story to it that most young bands would kill for - at the time they really were - and it’s still one of my favourite things today. 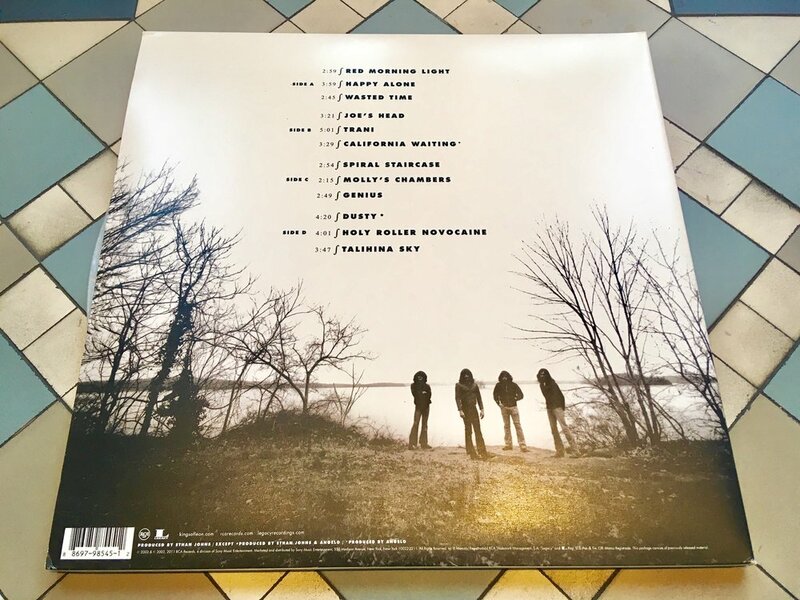 It has also been suggested that I stole my hair from them and now, looking at the rear sleeve on this, that could well be accurate. ‘High School U.S.A.’ by Jim Richardson (St. Martin’s Press, New York, 1979) is one of those books that doesn’t get made anymore. At least I don’t think they do but we’ll have to wait another twenty-thirty years to find out? 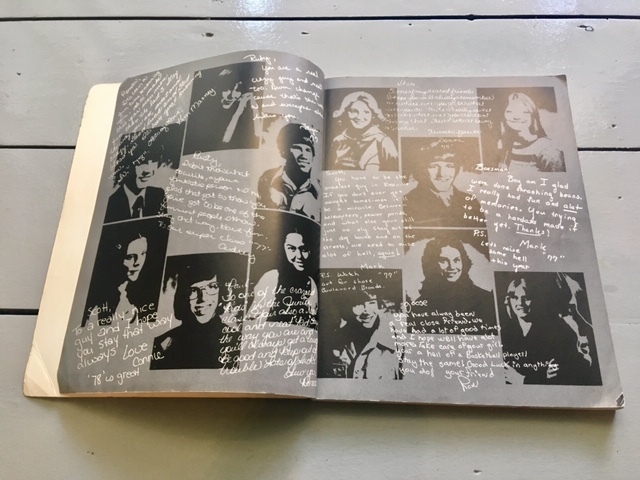 Either way, it’s a wonderful, heartfelt look at what life was like for the students and teachers of Rossville High School, Kansas in the mid 1970s. It’s also a window into the nature of a school - particularly an American one - and what that time meant to many of us, regardless of where exactly you went. Richardson captured the funny, painful and often poignant nature of school, from football and sports, to the classroom, to the prom and graduation. 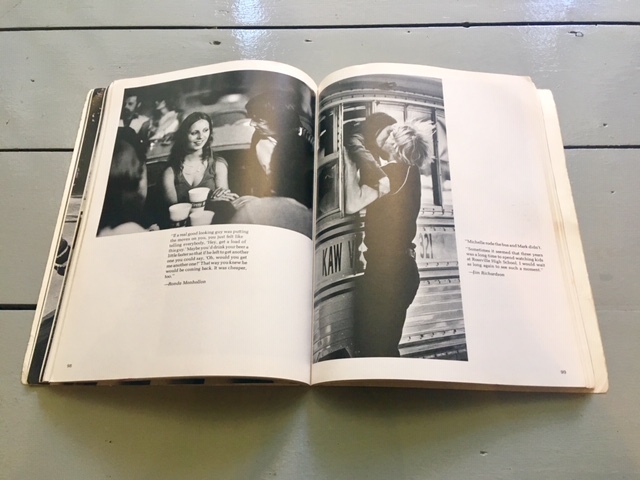 The pictures are amazing and the accompanying text a love letter to those strange, singular years and it’s hard not to feel a touch wistful reading it. That wormhole’s probably more trouble than it’s worth, right?